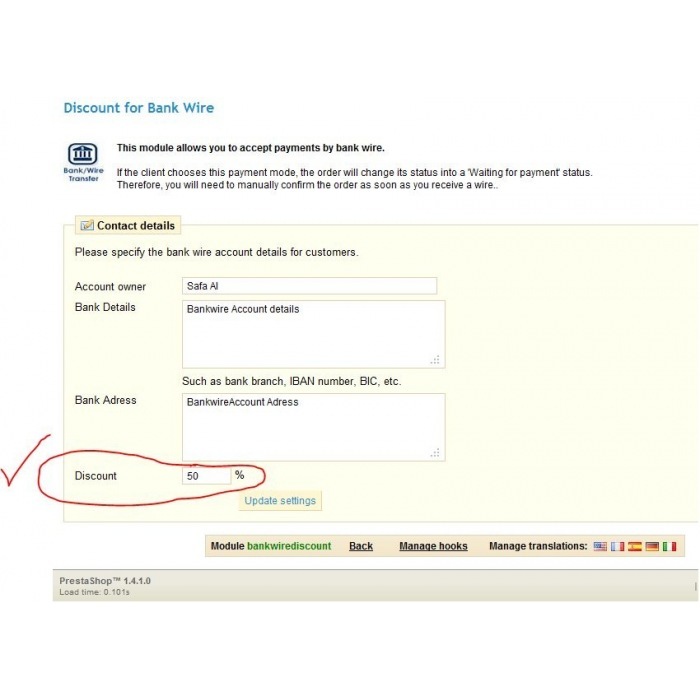 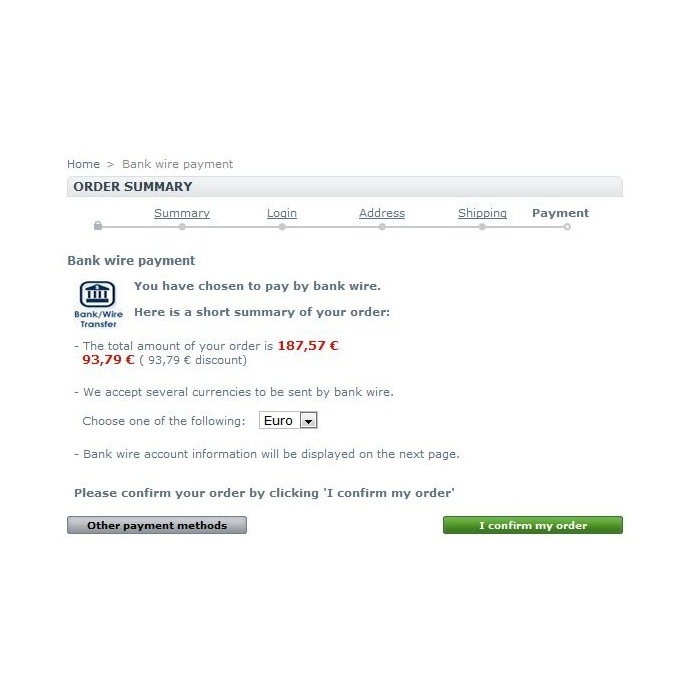 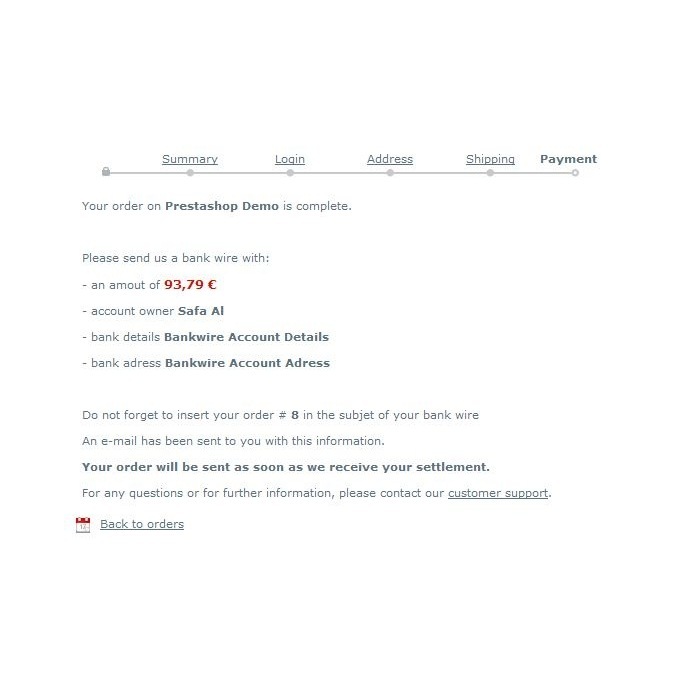 Thanks to the module “Bankwire with discount”, you will be able to add discounts on Bank wire Payment. 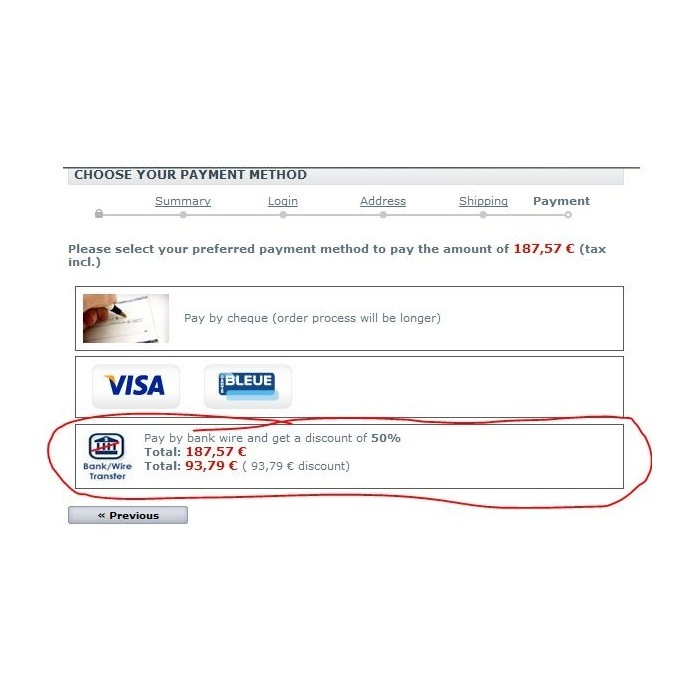 Apply discount when the customers pay via the bank wire payment option. 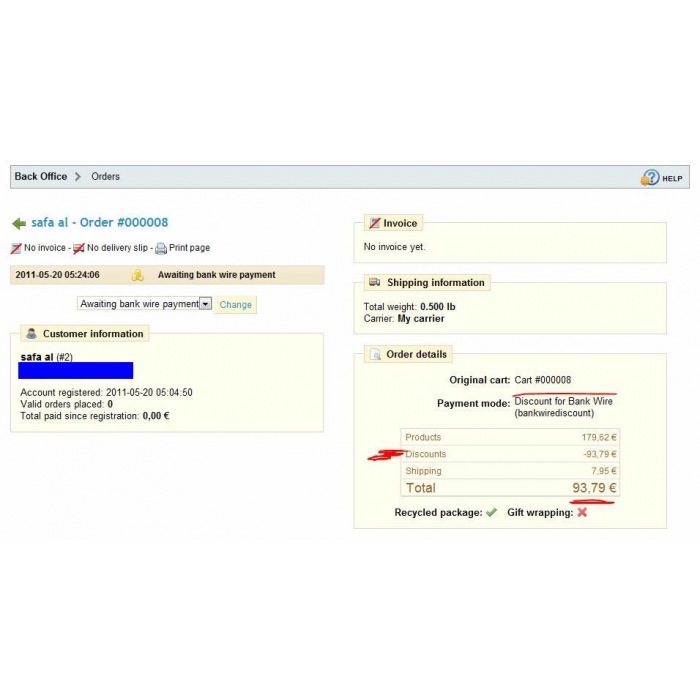 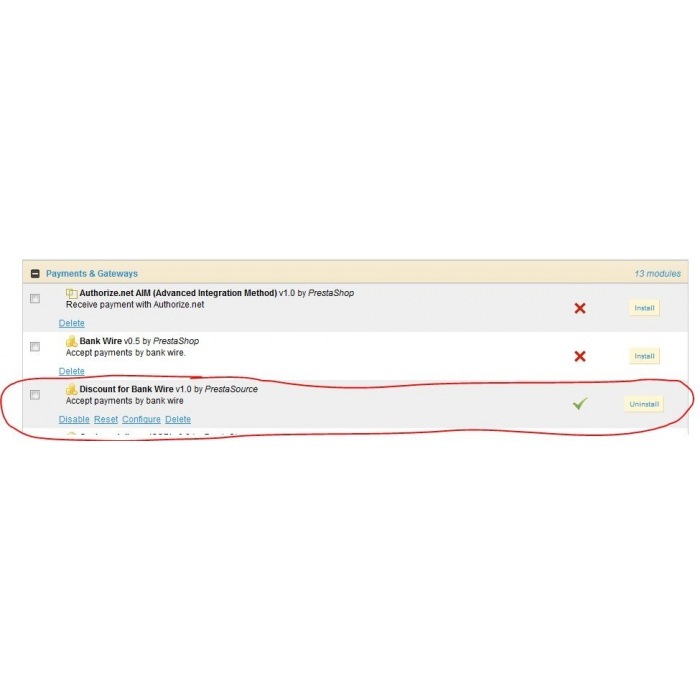 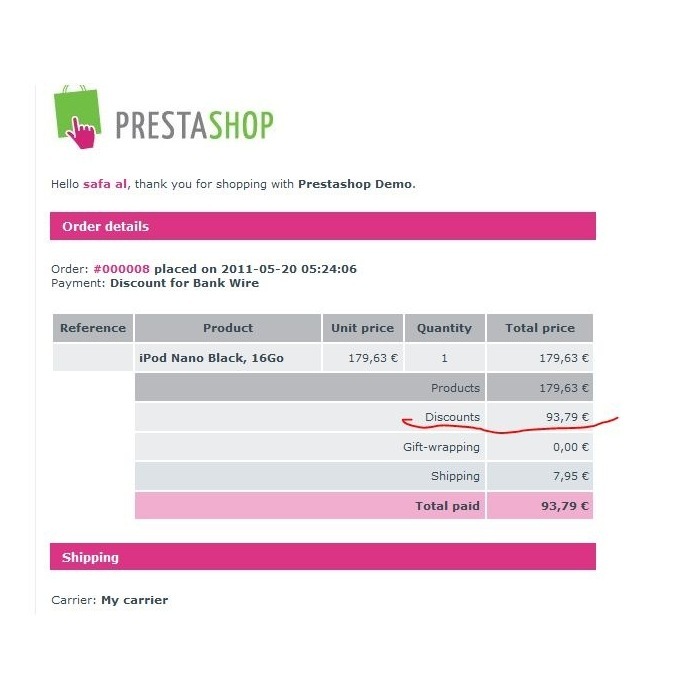 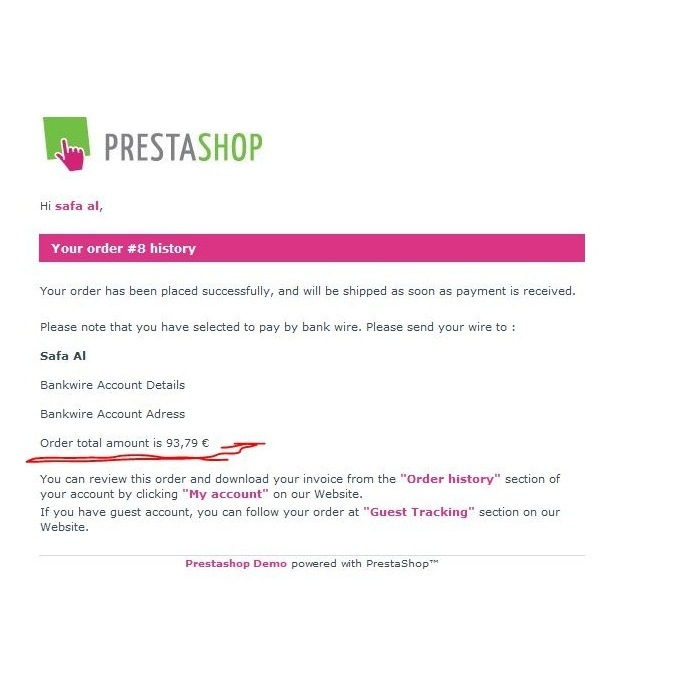 The amount of the discount (in %) can be set in the Back-Office (Please look module images and visit the demo store).